After intensive training, studying and on-the-job experience, 12 aviation system (AVN) technicians, five aircraft structures (ACS) technicians, and four air weapons systems (AWS) technicians have returned to their home units at Cold Lake, Alta., as qualified journeymen, ready to work on the CF-188 Hornet fighter aircraft. 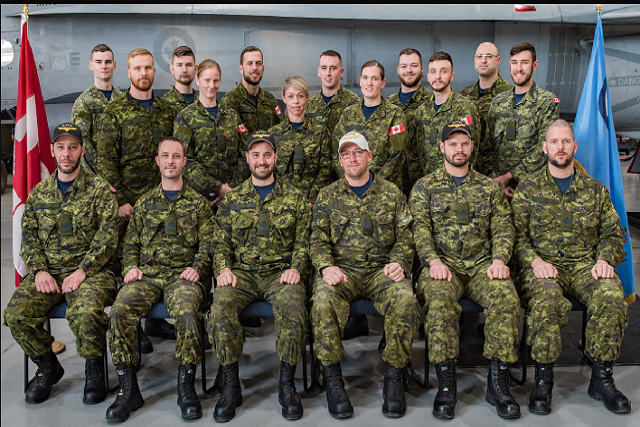 The newly-qualified technicians graduated from 10 Field Technical Training Squadron (10 FTTS), located at 4 Wing Cold Lake, Alta., on Dec. 6, 2018. Over the past year, in an effort to reduce the backlog of CF-188 AWS technicians requiring their on-type CF-188 course, reduce overall training costs and improve training efficiency, 10 FTTS made the decision to double its efforts and teach the AWS course at both the main campus in Cold Lake as well as at the detachment at 3 Wing Bagotville, Que. For the previous 10 years, the course was taught only at 3 Wing. 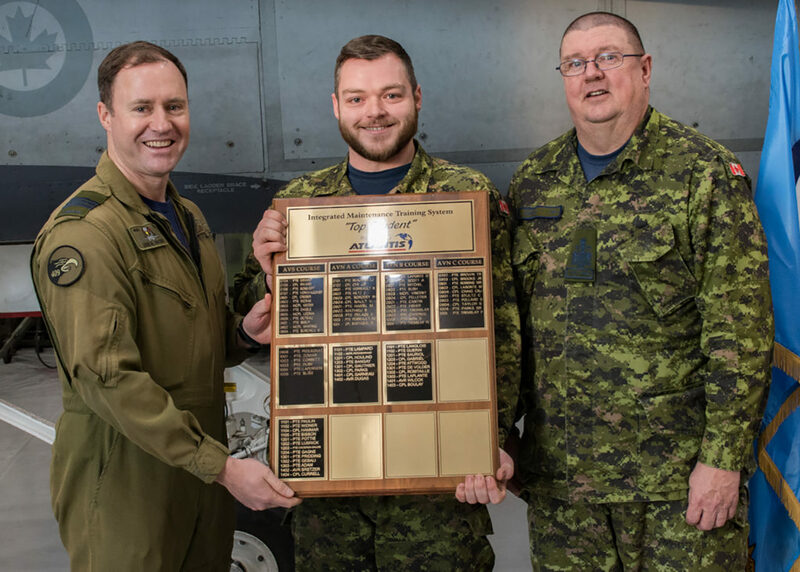 The squadron has also increased its throughput at the Bagotville detachment to include aviation systems technicians (AVS), AVN and ACS, on-type CF-188 courses as well as increasing the number of other courses taught at both locations for all fighter technician trades. “On-type” denotes the initial, occupational-specific courses given on a specific aircraft type; graduating from an on-type course allows technicians to perform maintenance on that aircraft type. During the past 10 years, 10 FTTS has trained more apprentices for the fighter fleet than have been trained for any other fleet. 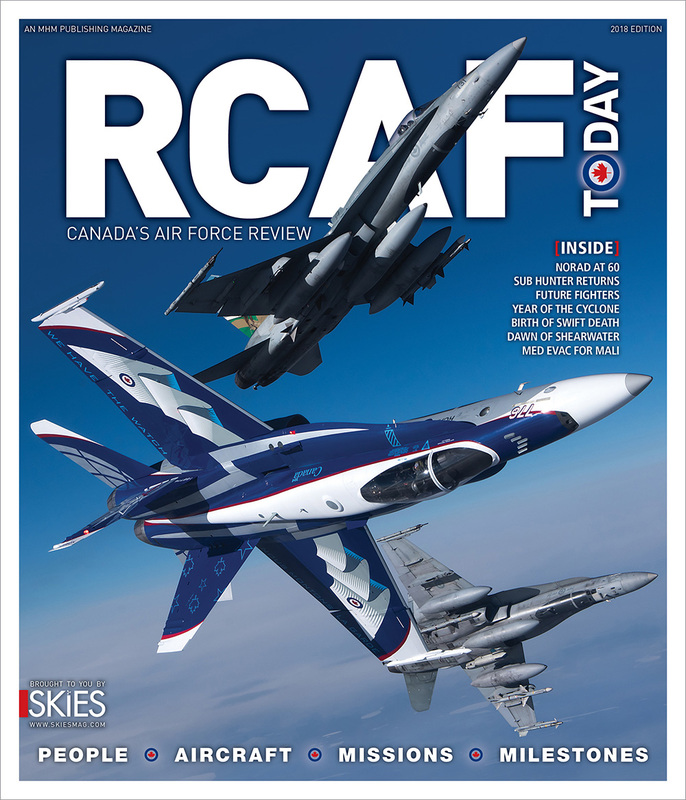 Last year alone, of the 379 technicians who graduated from the Canadian Forces School of Aerospace Technology and Engineering in Borden, Ont., 158 came to the CF-188 fleet, all to be trained by 10 FTTS. 10 FTTS is the largest fleet-specific technician training unit in the RCAF with a staff of 80 military, public servants and L3 contractors at the main campus Cold Lake and 40 military and L3 contractors in the Bagotville detachment. 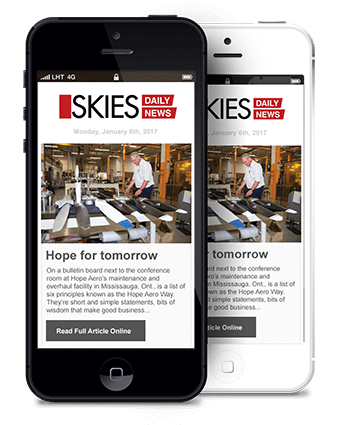 “This is a key milestone for most individuals as they move on from apprentices to journeymen. They are now authorized to work on the aircraft by themselves. However, the training doesn’t stop here; there’s still more to come, both formal and informal,” said Maj Greg Owens, commanding officer of 10 FTTS. 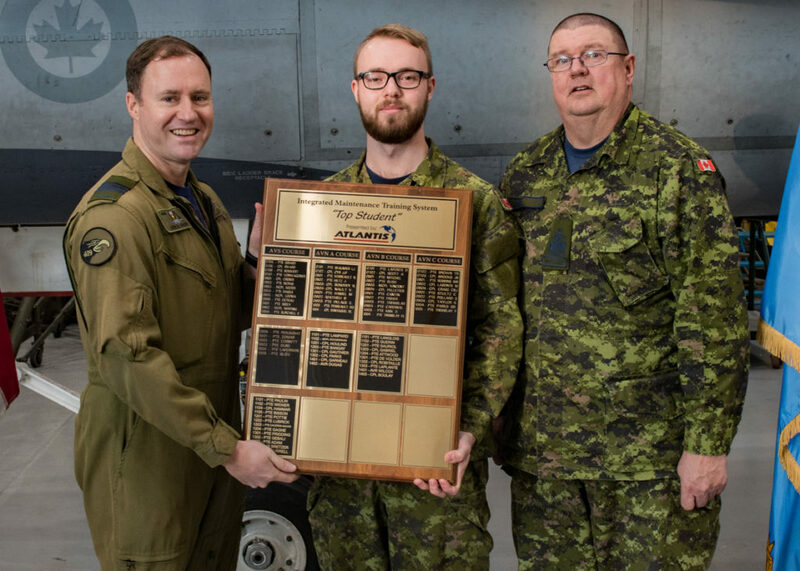 Top student was awarded to Cpl Zachery Hunter, for the AVN on-type CF-188 course, and by Aviator Michael Richards, for the AWS on-type CF-188 course. Both are from 410 Tactical Fighter (Operational Training) Squadron. The award is earned by achieving top marks in written and practical assessments, attitude, leadership, and by demonstrating the ability to work as part of a team. 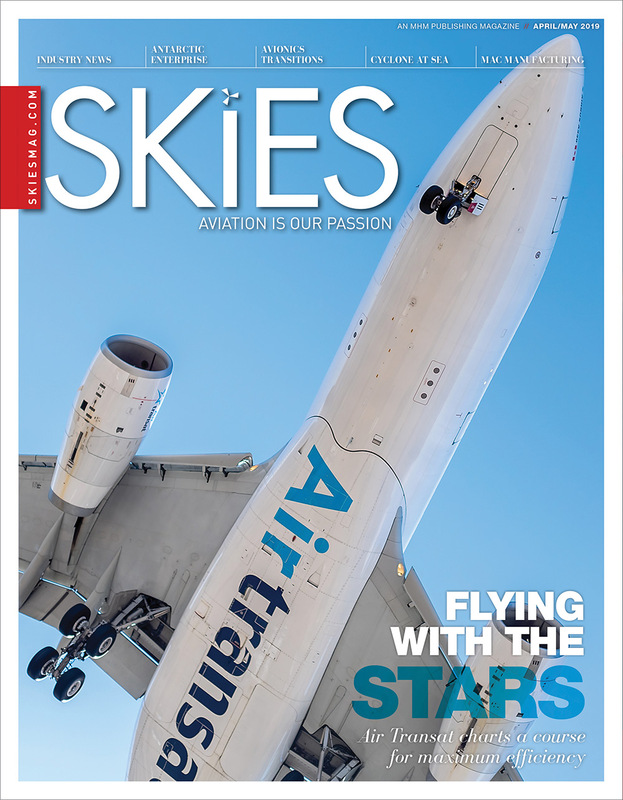 10 FTTS has been upholding the culture of air worthiness since 1961, when it was stood up at 4 Wing to train technicians on the CF-104 Starfighter, the CF-5 Freedom Fighter, the CT-133 Silver Star and now the CF-188 Hornet. 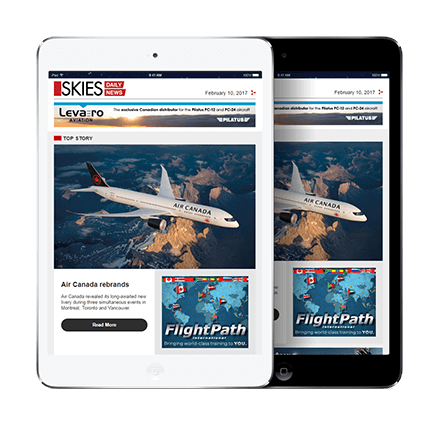 These achievements can only be accomplished through collaborative efforts among Canadian Armed Forces personnel, public service members, and contracted L3 instructors–the 10 FTTS Defence Team. Sgt Matzner is the acting apprentice training flight warrant officer.